Seattle urban gardeners have style! 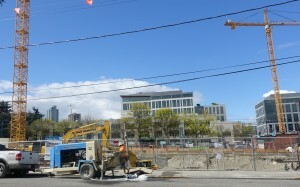 Seattle is growing like crazy. The economy and industry are booming, and subsequently, more space is needed for offices and housing. 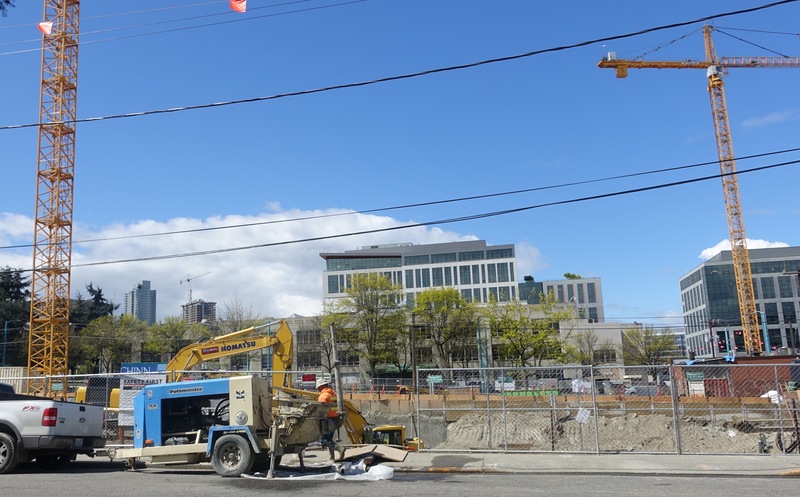 For the moment, parts of downtown are a bit messy, dotted with cranes and gaping holes in the earth surrounded by chain link fencing…and noisy with the operation of large machinery and that extremely annoying beeping of trucks backing up. 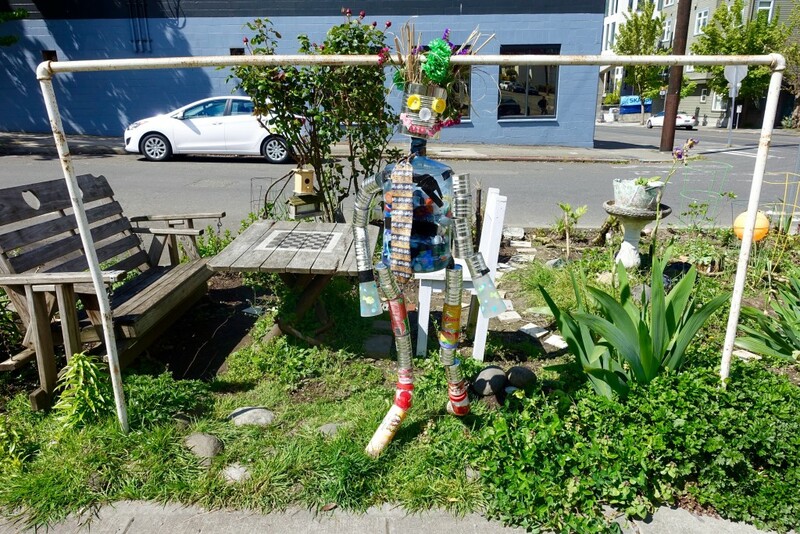 On a recent stroll downtown, my fiancé and I came upon a little green oasis (pictured below) and this wonderful tin man. What a lovely find! The tin man seemed to be reserving a picnic bench and table for weary urban folk needing a break from the concrete jungle. 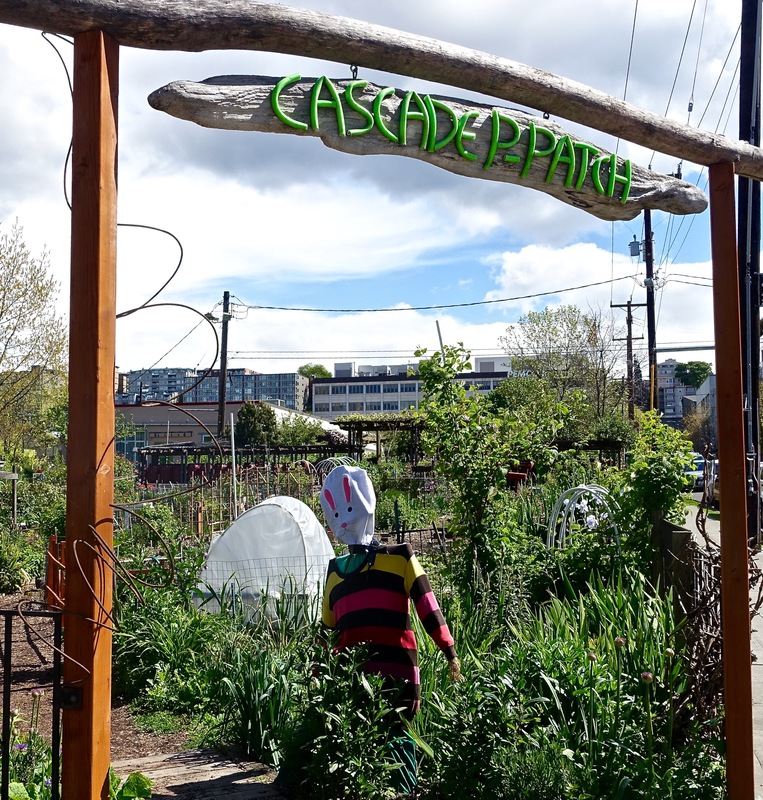 As we walked on, we discovered that he is actually part of the urban community garden project Cascade P-Patch. 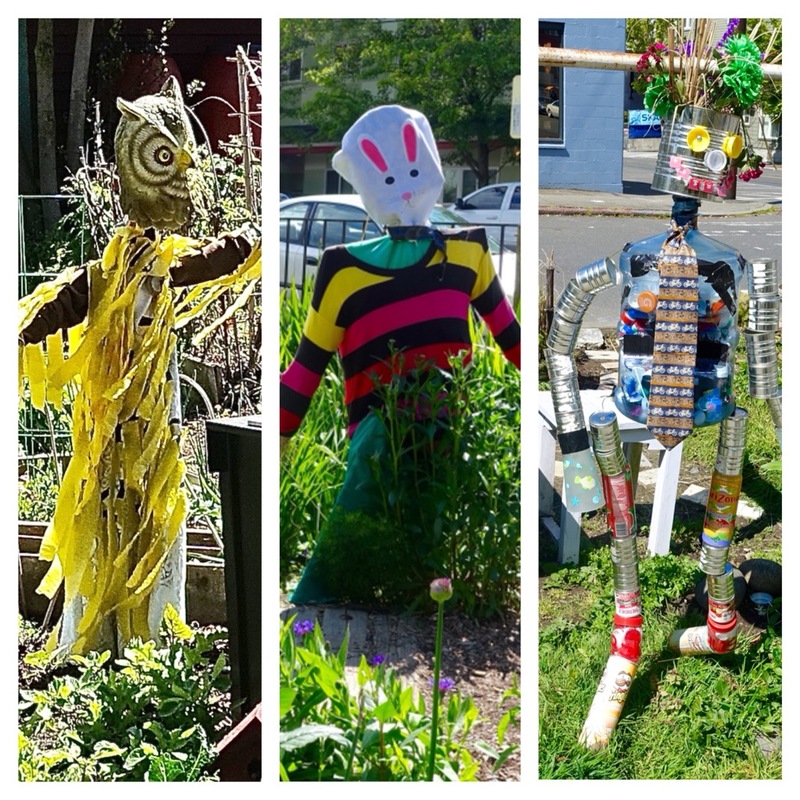 While the Cascade P-Patch boasts to featuring rainwater collection, a tool shed, and giving garden, what particularly delight me are its scarecrows: true expressions of creativity. And these aren’t even sponsored by public funds, which have undoubtedly made Seattle a mecca of creative expression and innovation. Check out the one below! While urban gardens are sprouting up everywhere, I love the original, creative touch given to this one. While I have heard the opinion that Seattleites are not the most “stylish” people, once you begin exploring the city something else becomes apparent. Seattle style is discrete; it is often found in less obvious places. (Stay tuned for a post on artisanal lightbulbs!) It is also found on a larger scale: in architecture, public art, interiors, music,.. 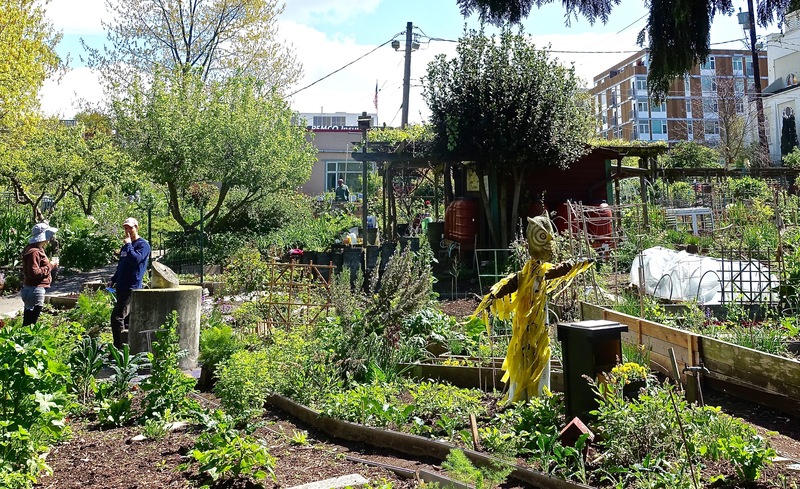 Yes, Seattle style might not be as in-your-face as New York style, for example, but you can be sure that Seattleites – including urban gardeners – have style! Remember when I had a p-patch in Belltown? Of course you did. Too cool!